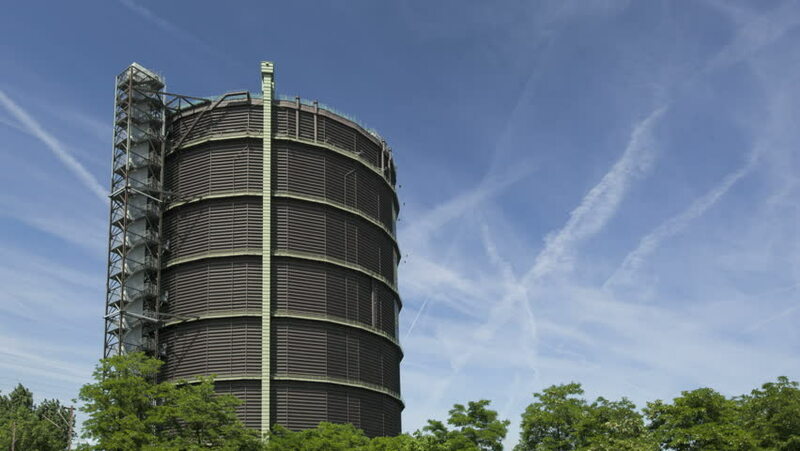 Timelapse of the gasholder in Oberhausen with a compilation of condensation trails. hd00:09Timelapse of the gasholder in Oberhausen with a compilation of condensation trails. 4k00:10Munich, Germany-2010s: Establishing shot of BMW headquarters in Munich, Germany. hd00:07Madrid, Spain. Circa July 2017. Capitol building and people walking in Gran Via Avenue.